Since it’s summertime, I’m off! It’s a great part of being a teacher. I enjoy doing some morning chores around the homestead a few days a week. I usually begin with filling a bucket from the rainbarrel, and using that water to water the plants around the yard. I will also take a bucket of water up to the deck and use it to water the plants there. 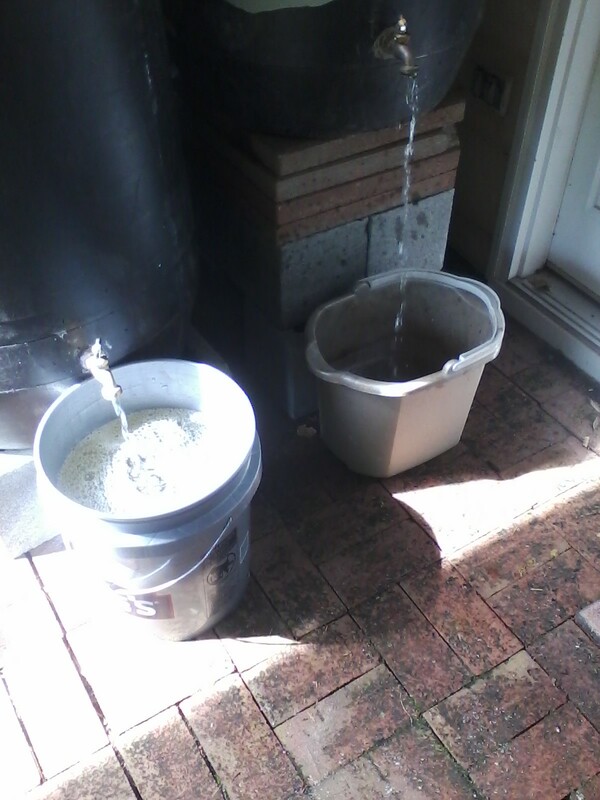 The bucket on the left is being filled for the washing machine, and the bucket on the right is for the garden. If the washing machine is empty, then I fill 5 gallon buckets with water from the rain barrel, and pour them into the washing machine. I only fill the buckets with about 4-4.5 gallons of water so that the buckets don’t splash when I carry them inside. I usually make about 5 trips with the buckets. I’m saving water and working my muscles at the same time, so it’s a win-win. I’ll weed around the yard, or plant if needed. 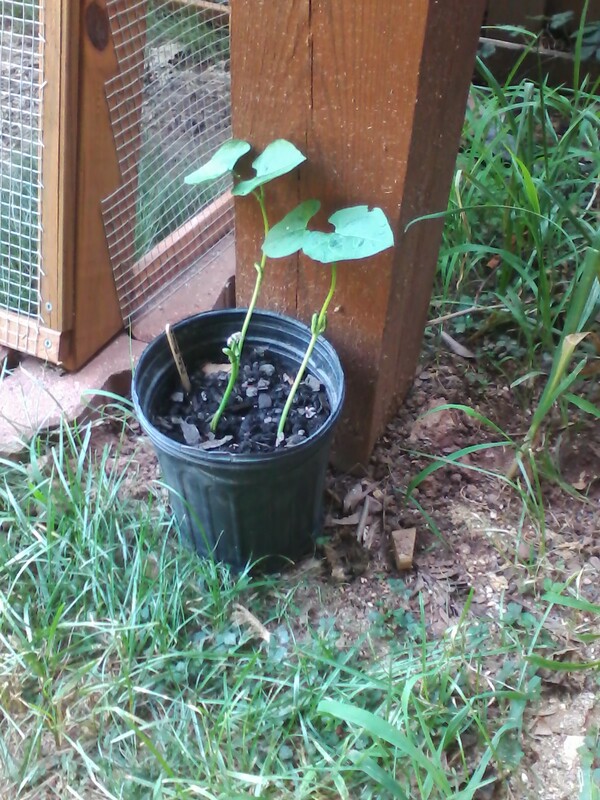 Today the pole beans that I planted last week needed trellises. 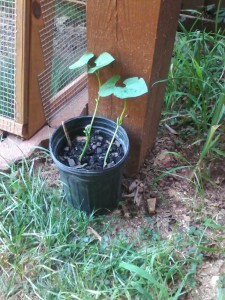 So I put the ones in pots by the deck supports so they could grow up those. 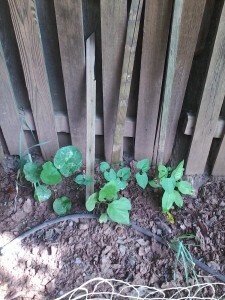 The others are planted by the fence, but they weren’t quite close enough to start growing up it yet. 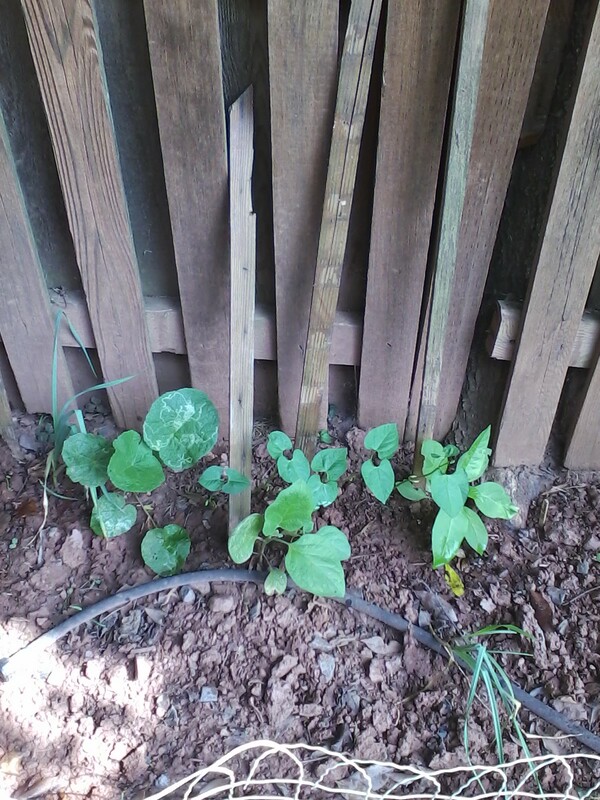 I had some spare wood from breaking down an old trellis, so I put some of those wood pieces next to the plants and leaned the wood against the fence, that way the plants will grow up onto the fence. Today I also worked on our raised beds, which I wrote about here. Spending the morning in the garden is such a luxury! I’m thankful we have a nice yard to be in, and that I’m physically capable of doing the work.